Do I Have A Case For Wrongful Arrest? A police officer has just taken you into custody. You haven’t done anything wrong, but he or she is reading your Miranda rights to you while putting you in handcuffs. Has the officer explained the charges? Do they have probable cause for arrest? What evidence do they have to hold you? You’re in a shop, or somewhere out in public, and suddenly you’re not free to leave. Someone shouts, “citizens’ arrest!” Maybe there is more than one individual restricting you from leaving. You’ve done nothing wrong, but now you’ve found yourself in an “arrest” situation, and the police are on their way. This scenario is typically seen in retail shops where an owner or employee believes that someone has been shoplifting. A “citizen” can only hold an individual until the police arrive, or to give them an opportunity to recover stolen merchandise from a suspected thief. But again, you know you’ve done nothing wrong and haven’t stolen anything. Also called “false arrest,” it means unlawfully confining an individual against their will by someone who does not have legal authority to do so. If there is no legal cause to hold an individual, such as a warrant for their arrest, suspicion or probable cause, the arrest can be called “wrongful” if they are not free to leave. While this isn’t hard-and-fast law, it covers a broad range of improper confinements. 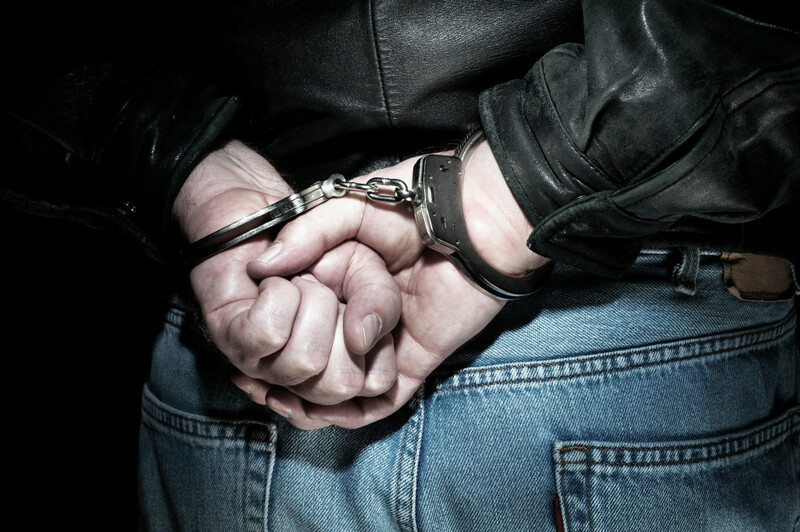 Wrongful or false arrest is an “intentional tort,” and is a civil rights violation. That is, the individual committing the arrest willfully intended to deprive someone of their Fourth Amendment rights, which protects you from illegal searches and seizures. While the police do make mistakes, it may be up to you as the defendant to prove that you were wronged and clear your name in court. Don’t resist the arrest, particularly one involving a police officer. Resisting an unlawful or wrongful arrest isn’t a good idea, even though it is legal in some places. You can still be charged with resisting arrest, even if you can prove later that the original arrest was unlawful. Find a civil rights attorney. Now. The sooner you get legal representation, the faster you can clear your name. He or she can help you avoid mistakes made under difficult, confusing conditions. Exercise your right to remain silent. An attorney should be present anytime you speak to authorities. He or she will ensure that you have proper representation, treated fairly, your rights are respected, and guide you through the process. Politely decline any searches that don’t come with a warrant. The police are required to follow a set of rules with a warranted search, but without one, there may not be rules. Keep track of all correspondence and conversations. Phone calls, emails, letters and other interactions may lead to evidence that proves your innocence. Pursue legal action for compensation. Your attorney can advise you on filing a civil rights lawsuit to compensate you for physical pain, mental anguish and embarrassment. A wrongful arrest brands you a criminal, and has far-reaching effects that can damage your good name. An experienced civil rights attorney can examine the facts of your case, determine if you have one, and advise you on the next steps. He or she can determine if you have a good case for wrongful arrest, and what it will take to bring disciplinary action, if the police are involved, or a civil rights lawsuit against individuals. If you believe you’ve been wrongfully arrested, or that your civil rights have been violated, call the Civil Rights Litigation Group at (720) 515-6165. Schedule your free consultation with us today. We’ll help you fight back and help you clear your name. leaving a review? Thank you! © Copyrights 2017 · All rights reserved.